Carlos Ghosn loses his place on Nissan’s board of directors and claims he’s the victim of a conspiracy, Tesla cuts sales staff, Fiat Chrysler pays $110 million to settle investor lawsuit over emissions, and Elon Musk’s tweets. All of this and more in The Morning Shift for Tuesday, April 9, 2019. Former Renault CEO and Nissan chairman Carlos Ghosn, who was originally arrested over allegations of financial misconduct from Nissan in November and has been arrested multiple times since, released a video statement on Tuesday in regards to the allegations against him. The claims against Ghosn have built since the original arrest, and include allegations of underreporting $90 million in compensation and putting personal financial losses on Nissan. He might have even had Renault pay $57,000 toward his wedding, according to reports from earlier this year. The Tuesday statement was on video and not in person, Ghosn said, because he couldn’t make the press conference he scheduled. Ghosn was arrested for the fourth time last week, the BBC reports. “If you are listening to me through this video today, it means that I was not able to make the press conference that I planned for April 11,” Ghosn starts the video with, in an opening clip very reminiscent of the typical “If you’re reading this, they’ve got me” movie scene. Ghosn went on to say he’s innocent of all charges and all accusations around the charges, and that they’re biased, taken out of context and twisted. He then goes through some of the charges, and says he still has an “untainted” love for both Japan and Nissan. Ghosn said the reasons for this were fear over the next steps in the Nissan-Renault-Mitsubishi alliance, and how further integrating with Renault could threaten certain people—executives, he clarified—and the autonomy of Nissan as a company. His biggest wish, he said, is to have a fair trial. The full YouTube video won’t embed, but can be seen here. Reuters reports that Carlos Ghosn’s last tie with Nissan is now cut, after Nissan shareholders voted him out as a director on Monday. Ghosn was voted out a few days after his most recent arrest in Tokyo, according to Reuters. The allegations of financial misconduct against Ghosn and the aftermath they could cause led to an interesting first shareholder meeting since his first arrest, according to Reuters’ descriptions—including a near record 4,100 shareholders in attendance and the occasional interruption from hecklers. [S]hareholders gathered for an extraordinary meeting, expressing bafflement and disquiet about growing allegations of financial misconduct laid out before them - while seeking more clarity on how Nissan plans to recover from the scandal. Meeting shareholders for the first time since Ghosn’s initial arrest in November, Nissan Chief Executive Hiroto Saikawa and Jean-Dominique Senard, the chairman of its alliance partner Renault, said they needed to focus on collaboration and improving governance at the Japanese company. But they offered few concrete details about the way forward. Reuters reports that both Kelly and Ghosn have denied the accusations, and that Ghosn said he’s the “victim of a boardroom coup”—as you might already know. Tesla might not be fully going online, laying people off and closing its stores, but Bloomberg reports that a few dozen sales staff did get cut on Thursday. The story said the company cut staff in Chicago, New York and Florida, citing people familiar with the matter. After the retail strategy revamp, these employees were reassigned to tasks such as taking inbound calls, helping with deliveries and even washing and detailing vehicles, the people said. Bloomberg reports that Tesla confirmed the cuts but declined to talk about specifics, including the number of people involved. Fiat Chrysler will pay $110 million to settle a lawsuit from investors claiming the company misled them over all of those cheating diesel emissions, Reuters reports, citing court records. Investors sued in 2015, according to Reuters. In 2015, Fiat Chrysler settled allegations with the National Highway Traffic Safety Administration that it failed to properly complete 23 recalls affecting more than 11 million vehicles. It paid a $105 million U.S. penalty, conducted additional recalls and agreed to buy back hundreds of thousands of vehicles. The securities suit also raised claims Fiat Chrysler misled investors over the Justice Department’s allegations it used defeat devices to allow diesel-powered vehicles to emit excess emissions. In January, Fiat Chrysler agreed to an $800 million settlement to resolve claims by the U.S. Justice Department and the state of California that it used illegal software to produce false results on diesel-emissions tests. The settlement still has to be approved by a federal judge in New York, Reuters reports. Elon Musk just kind of, well, tweets, even when he shouldn’t or when he’s not really supposed to. And if you ever wanted to think more about Musk’s tweets than you already do—which, honestly, is not recommended—Bloomberg analyzed his Twitter habits. When Elon Musk was accused earlier this year of violating a months-old agreement that he clear material tweets about Tesla Inc. with a company lawyer, the billionaire told a federal judge he took his accord with the Securities and Exchange Commission seriously, and that he had dramatically reduced his postings about the electric-car maker. The full story, and its analysis of Musk’s tweets, is here, should you dare. Clemens had signed on as a pilot’s apprentice in 1857 while on his way to Mississippi. He had been commissioned to write a series of comic travel letters for the Keokuk Daily Post, but after writing five, decided he’d rather be a pilot than a writer. He piloted his own boats for two years, until the Civil War halted steamboat traffic. According to History, he picked up the term “Mark Twain” while a pilot, and when he returned to writing, began writing under that name. 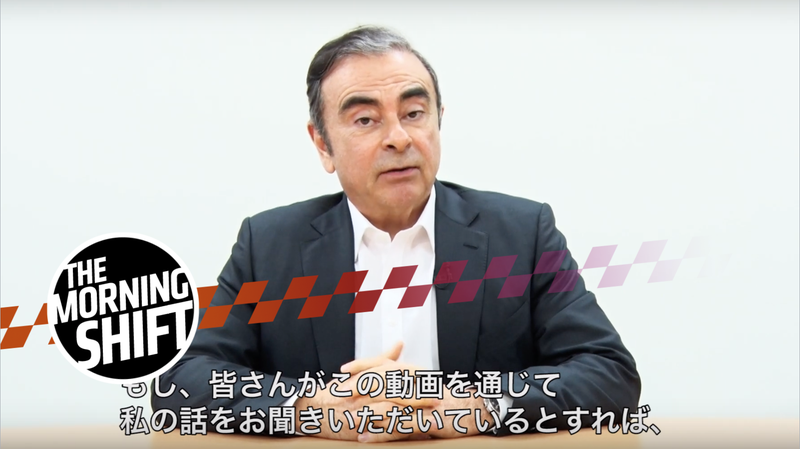 Neutral: Did Carlos Ghosn Convince You? Did that cinematic statement alter your opinion at all?